Sunday promises to be a cracker as Liverpool travel to Old Trafford to take on Manchester United in the English Premier League. The Red Devils are rejuvenated after registering a 2-0 away win at Stamford Bridge in the 5th round FA round clash against Chelsea. Liverpool, on the other hand, have been on the top of their game in the league however settling for a goalless draw vs Bayern Munich in the Champions League. Liverpool won the home fixture 3-1 and are looking to go for a league double for the first time since 2013-14. It's good news for the United fans as Ole Gunnar Solskjaer said in an exclusive interview to the MUTV that Lingard and Martial could return in the high voltage clash on Sunday. The duo got injured in the first half in the Champions League match against PSG. “I hope and think Anthony will be ready and I hope Jesse will be ready because it’s two different injuries,” Ole told the reporters. 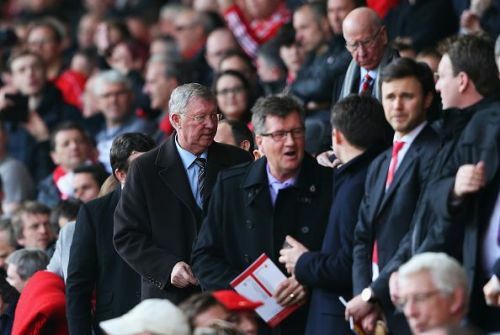 Also, Sir Alex Ferguson could return to the dressing room as Solskjaer told in his interview. "He (Sir Alex Ferguson) would be welcome to have his talk to the players if he wanted to, the gaffer, because we know how much it meant for him to overtake Liverpool"
Sir Alex Ferguson (when in-charge) considered Liverpool his greatest challenge. He famously described his challenge to "knock Liverpool right off their perch"
Currently, Manchester City sit at the top of the table with equal points and a superior goal difference. A draw or a win would mean Liverpool to go top. Jurgen Klopp is in the process to end the 29-year title wait for Liverpool. But he understands Man United is a big challenge as he told the reporters. "Ole Gunnar Solskjaer is doing a brilliant job. It's all about bringing out the potential, bringing out the team's quality. That's what he's obviously done and it makes him the manager of a top club." Defender Virgil van Dijk will be back after sitting out through suspension in the Champions League fixture against Bayern Munich. Croatian Dejan Lovren is also set to sit out due to a hamstring injury and Joe Gomez is also out to an ankle surgery. The stakes are sky high as none of the teams would settle without a win. Kickoff @ 7:35 on 24th Feb, Sunday at Old Trafford in Manchester. 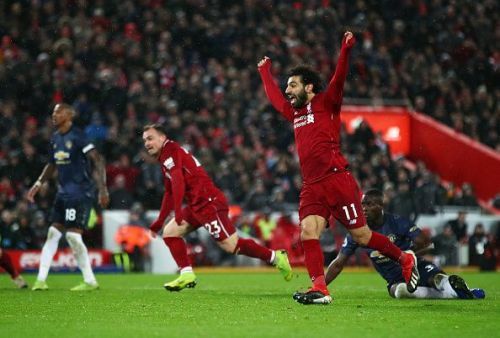 Premier League 2018-19: Are Manchester United the favorites in the match against Liverpool?